L-AV8 Restful Recovery Sheets, microfiber deluxe polished sheets are all infused with L-AV8 IE Technology. The L-AV8 Restful Recovery Sheets are your ticket to an enhanced night of sleep. These microfiber deluxe polished sheets are all infused with L-AV8 IE Technology which provide health and wellness benefits even when dreaming. Resting in the sheets allows for increased energy in the morning, reduced inflammation and enhanced recovery. We sleep almost a third of our lives – achieve a better lifestyle with no effort at all! Since your entire body is wrapped by L-AV8 IE Technology the effect is stronger and you can be happily seeing the benefits 24 hours a day. Who knows, it may even give you a new reason to sleep in! • Queen and King sized sheets are deep pocketed to fit pillow top mattresses. Work well on standard mattresses. 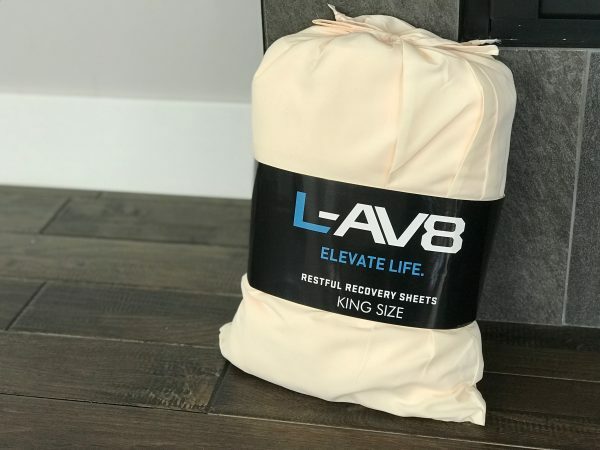 • The Bedding Bag is also infused as an added bonus, use as a travel pillowcase to make sure you’re benefitting from L-AV8 IE Technology where ever you go! These sheets are amazing! I have three little ones, and every noise wakes me up at night. When I got these sheets, I noticed I sleep very sound, and rarely wake up during the night. I even travel with my pillowcase to make sure I’m sleeping with some of the L-AV8 technology every night. These sheets are worth every penny! 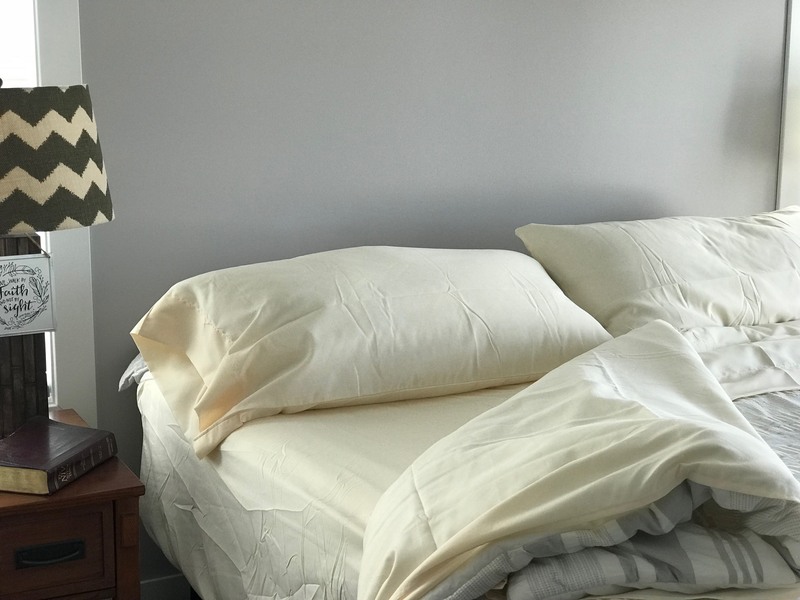 I got these sheets several days ago and after sleeping on them for about a week I feel so much more rested because I’m sleeping much better, with fewer aches and pains too. I’m going to get some twin size for my daughter who is a sophomore in college because if she’s getting better rest she should do better on her final exams. These sheets rock! I slept in them last night after a hard workout and already notice the difference. I’m feeling much better today than I normally do after a day at the gym. Love the way these sheets make me feel. No joint pain when I wake up in the morning. I tried these sheets, they’re incredible and have really helped reduce my back pain. I’m going to get a set for my aging Dad for Fathers Day. Can’t believe how much better I feel after sleeping on these sheets for about a week now. Best part is I haven’t needed any pain medication for the last few days. I bought the king size and they fit very well on my pillow-top mattress. I can’t say enough about these sheets. Their very soft and when I get up in the morning I feel like I’ve had a very good nights sleep and feeling no pain. I would def buy them again. I did a lot of gardening over the weekend I usually really pay for it after all that bending and kneeling. But after sleeping on these sheets last night I’ve noticed that I’m feeling good this morning and so much better than usual. These sheets are worth the price. I’m having a hard time believing how much better my arthritis is after using these sheets for a while. I’m getting some for my parents and in-laws so they can experience the L-AV8 difference. It’s worth the investment. 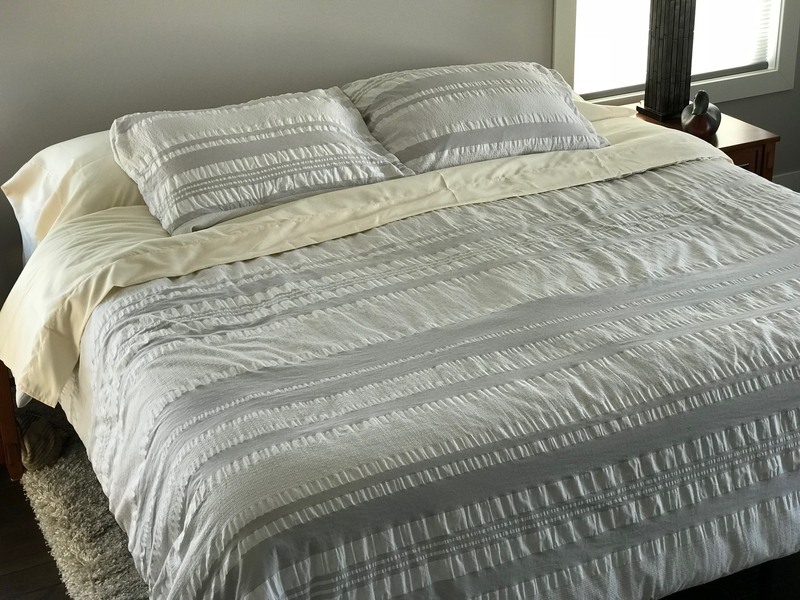 It’s really good quality sheets,soft and comfortable.I like them very much! At first I wasn’t going to buy these cuz I don’t really like microfiber. But my wife convinced me it’s all about the L-AV8 tech. I’m really glad she did the microfiber is very soft. I’m feeling so much better and have the energy to do all the things on her honey do list. Now she’s happy and I’m sleeping good and feeling great. I am sold on these sheets and technology! I am not a good sleeper, after the second night of sleeping on these sheets I have awoken more rested and have noticeably less tension in my back! I highly recommend this product! These sheets are soft and fit my pillow top mattress. But I was pleasantly surprised that they make me feel so much better. I’ve used them for four weeks now and my fibromyalgia pain is much improved. For that alone they’re completely worth the price. I’m going to I won’t go to sleep unless they’re on the bed. If only I was Roman and could wear a sheet to work every day! Well I purchased the sheets on the 28th of August and let me tell you, I have slept like a baby. 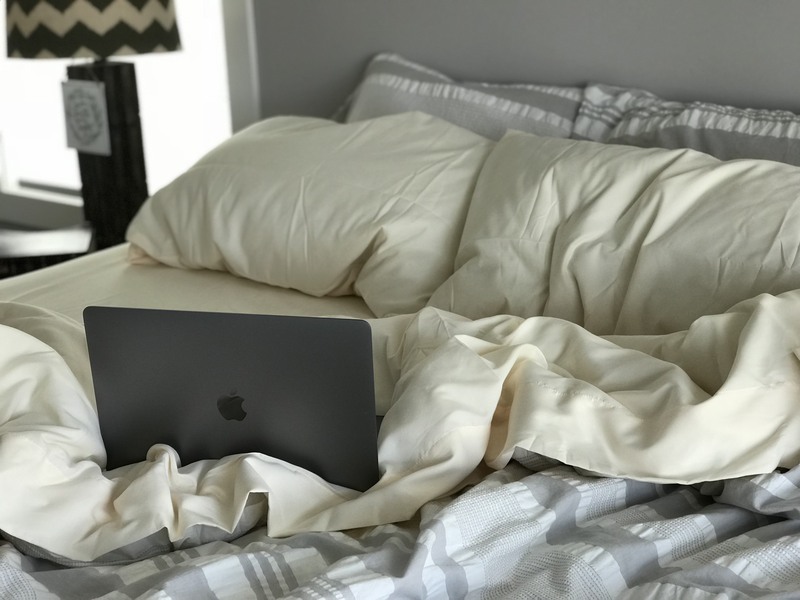 Before I purchased the L-AV8 sheets I would wake up every 2 hours and then struggle to go back to sleep. This was every night!! Since purchasing the sheets I now sleep through the night. I wake up feeling refreshed and ready to greet the day. This is one of the best purchases I have ever made. Thanks L-AV8 I will be purchasing more items. I suffer from fibromyalgia and chronic fatigue. Since using these sheets (for about 3 weeks now) I’m feeling a lot better physically and not nearly as tired all the time. I feel rested when I wake up for the first time in years. My husband loves them because they help him recover quicker after his workouts. It’s a win for us both. I recently became a big firm believer in these sheets! Used them religiously for a few months now. Had two full sets so I could interchange them as one needed washed. I was sleeping really good, waking up rested and ready for the day. Just recently I changed out the sheets to an off brand and all it took is one night to quickly regret that decision. I gave it a few nights to see if it was just me but sleep just wasn’t the same and when I put the L-AV8 sheets back on, it was back to heavenly sleeps and beautiful mornings! These sheets are soft and wick away moisture. They’d be worth the price for that reason alone, since I began with having hot flashes, but the truth is they also help me sleep so much better too.